3-2 run and grabbed a 15-11 lead. But it wouldn't be long before Iowa found its offensive mojo. Joe Wieskamp splashed in four 3-pointers before halftime and Jordan Bohannon (more on him later) hit a pair of his own. And as Indiana struggled to score against Iowa's zone, the Hawkeyes went into half-time with a 10-point lead on the strength of 1.29 points per possession in the first half. 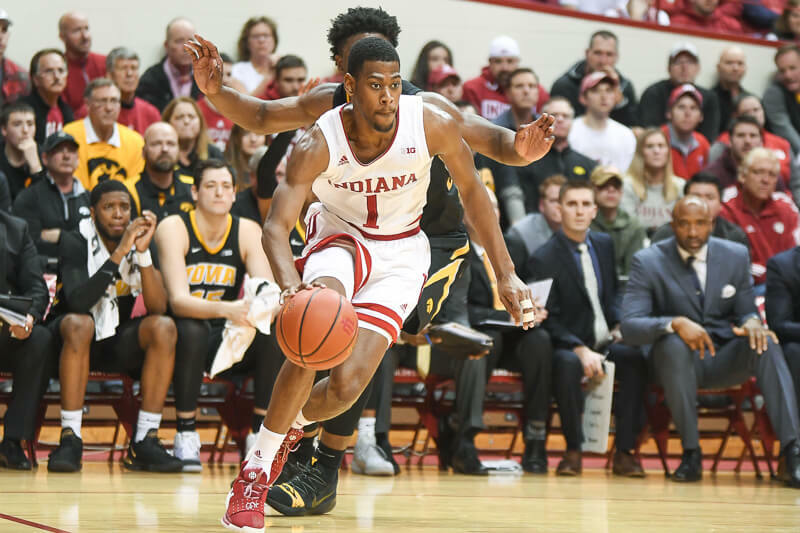 Juwan Morgan picked up two fouls early in the second half and had to sit and hoosiers could never get over the hump despite getting frequent stops. And in the game's final two minutes, Bohannon splashed a pair of 3-pointers. The final triple from Bohannon pushed the Iowa lead to seven with 43 seconds remaining. Indiana never got closer than the rest of the way as the Hoosiers suffered their third straight home loss in league play. Statistics that stand out : Iowa turned 12 Indiana turns into 19 points and hit 10 of its 25 3-point attempts.